Wanted to create something entirely procedural and organic. 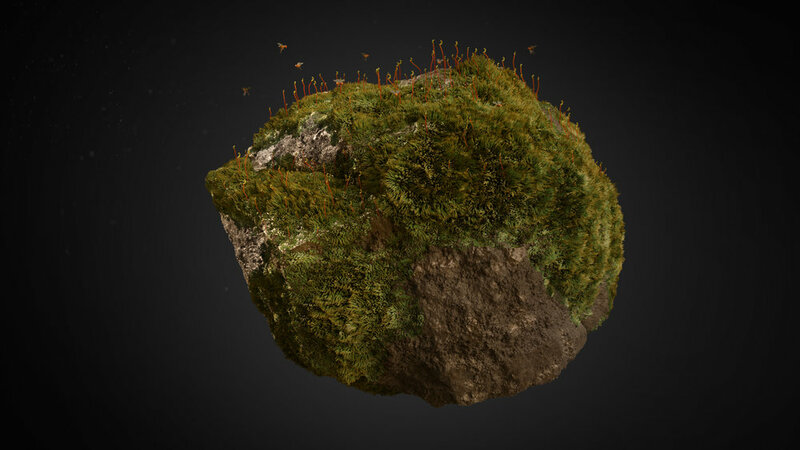 Here's a fantasy rock and moss created with Houdini FX and Rendered with Mantra. Software used - Maya, Redshift, and Substance designer. Software used – Maya, Arnold, Substance painter and Nuke. Software used – Maya, V-ray, Photoshop and Nuke.